Welcome to Mr. Handyman, North America's choice for all your household jobs, large or small. Mr. Handyman is your one-stop shop for a wide range of home remodeling. Since 1996, nearly 1 million home and business owners have trusted Mr. Handyman for remodeling, repairs, and maintenance. Besides being experienced, our handymen are fully insured with general liability and workers’ compensation so you and your home are protected. All of our locations are locally owned and operated but backed by national brand standards. Whether our professional handymen are improving your home, maintaining your business, or providing local jobs, Mr. Handyman is a proud member of your local community. In this business, experience counts. Mr. Handyman technicians have an average of 10 years of experience in the trades. This is a major difference between Mr. Handyman and other handyman services, and it is why we offer all our customers a workmanship guarantee. Formerly known as GH3 Enterprises, LLC Full Service State Licensed Residential New Construction & Custom Remodeling Contractor. Living Better Starts Here™ What sets us apart from most General Contractors is our dedication to perfection. We stay ahead of the competition by treating each home as if it were our own. We understand that your home is an extension of you. Every family is different, and we respect that through our consultation and design process, resulting in a finished product that suits your specific needs, time, budget, and vision. And you can rest assured knowing that we use only the highest quality materials and most knowledgeable, experienced staff to get the job done right. Glen Harris built the business on the pillars of Honesty, Integrity, and Creativity. These tenets are at the heart of everything we do: Honesty: To treat everyone we encounter with respect, and to be honest in all we do. From our cost estimates and time expectations to any recommendations we make to our clients, you can count on getting the truth. Integrity: To remain steadfast in our adherence to our morals, and to surround ourselves with quality people who share our core values. You can expect to deal with people of character. Creativity: To enrich each of our projects, large or small, with an infusion of creativity, and to inspire creativity in our clients. Let Glen’s years of experience and passion for design work for you! Our consultative approach allows us to understand your goals and expectations and show you how we can make them a reality, within your budget, through both classic and innovative approaches. Building and remodeling homes is what we love to do! We deliver superb quality and value to our clients every step of the way, and respect their wants, needs, time, and budget at all times. Our promise to you is simple: a finished product which exceeds your expectations and provides years of enjoyment. Feel free to reach out to us, we would love to hear from you! If you're on the brink of a large home improvement project, remodel, or new build, you'll likely want to hire a general contractor in Gateway, FL. These professionals manage all aspects of the job to ensure it's completed on schedule and to your satisfaction. Whether you’re trying to find Gateway building contractors for a new construction, or home improvement contractors to spruce up your existing place, it’s important know exactly what role they will play in the project. Read more below for a list of must-ask questions. General, or construction contractors, are often known as project managers. They oversee the entire remodeling or new home construction project and facilitate all day-to-day tasks that move it toward completion. A Gateway general building contractor will work with your architect to review plan as you build a house and ensure everything is in place before work is started as well as arrange for permits and necessary inspections. While good local home improvement contractors in Gateway will have the skills to handle certain tasks onsite, such as carpentry, he or she is also responsible for hiring subcontractors for the majority of jobs, such as electrical work, painting or plumbing. In addition, the general contractor should be on-site regularly to inspect the progress and resolve issues. Here are some related professionals and vendors to complement the work of general contractors: Architects & Building Designers, Interior Designers & Decorators, Landscape Architects & Landscape Designers, Kitchen & Bath Designers, Specialty Contractors. Home remodeling contractors are a must for successful completion of a renovation. Because of this, it's essential that you do your homework before deciding on the right general contractor in Gateway as you remodel or build a house. Inspect bids carefully. Was it ready when the contractor promised it? Was the bid for building a home unusually high or low? Each of these things can be very telling: A late bid may reflect timing standards, and an off-the-mark bid could be code for a pricey premium or a deliberate underbid to score the remodeling job. 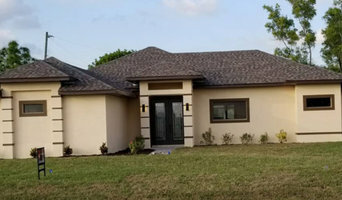 You should call references, carefully read reviews and visit completed projects in Gateway, FL to see if they’re what you expect for your job. Once you do secure your local Gateway contractors, read the contract very carefully to be sure everyone is on the same page. Find a Gateway contractor on Houzz. 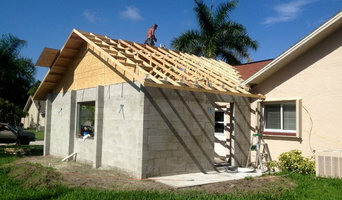 Narrow your search in the Professionals section of the website to Gateway, FL home contractors. 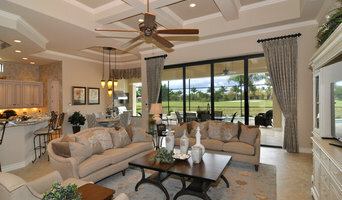 You can also search for photos in Gateway, FL and contact the Gateway general contractor who worked on the project.